SEO Mistakes | Are You Making Them? Home/Online Marketing, SEO/SEO Mistakes | Are You Making Them? With so much conflicting information out there, site owners are left wading through the details trying to make sense of it all. Just when they think they may have it figured out, throw in a change by the engines and they are back to square one. I feel your pain. So to make it easy, here is a collection of the top mistakes I encounter. This is definitely an article for beginners and I’m trying to keep it simple, but feel free to comment and ask questions or add anything you think I’ve missed. Solution: Optimize your site! So that solution is pretty obvious but it’s worth mentioning. I can’t believe how many people ask me “Why am I not ranked on top of the engines” only to find out that it’s because they’ve never optimized their content, worked on adding content or building links or getting social exposure. Someone seems to be spreading a nasty little rumor that just building your site is enough to get people to come to it. If you have a physical store in a prime location, people are likely to pop in if they like the sign and/or window display or if seeing your store reminds them they need to pick up whatever you are selling. On the internet there is no corner of Busy and Main St to put your store. You have to let people know it’s there. Coming up on the top of the engines is like getting a store on the corner of Busy and Main. It’s how you allow people to see you and then your description in the search engine results page should compel them to come on in (much like a sign or window display on a physical store). While not professionally optimizing your site saves on time and/or money, what are you losing in opportunity cost? In my mind this is the biggest mistake people make. A close second to this, which I’m going to lump in here is not properly optimizing your site. You have to know what you are doing and you have to be methodical about it. SEO is about attention to detail. Mistake: Not doing proper keyword research. Solution: Keyword research is the foundation of your campaign. It’s tedious and there is nothing fun or glamorous about it but without a solid keyword strategy you aren’t going to tap into the right kinds of traffic and you are making converting site visitors to customers harder than it needs to be. There are some common mistakes, like only wanting one word phrases and not understanding the important of catching people at various stages of the buying cycle. Allow me to digress for a minute and talk about the buying cycle and how you can capture people at different points in the cycle. Look at the following phrases and my commentary about them to gain a better understanding of this process. “lip gloss” – this is early in the process, they know they want a lip gloss but aren’t yet set on a brand or inquiring about pricing, they probably just want to see their options. I am not saying to ignore them at this level, you still have a chance to convert them. But as they progress through the cycle, the conversion becomes more likely. “MAC lip gloss” – they are interested in a specific brand, so that is a good thing but we don’t get know the commercial intent. You still want to capture this traffic because as long as they are interested in the specific product, you have a chance to compel them to buy it from you. “MAC lip gloss prices” – at this stage they are comparing prices and probably trying to decide if they will buy, so this is likely past the mid-point of the cycle. “buy MAC lip gloss ” – the searcher has indicated their intent to purchase and they want to know where they can buy. This person is very far along in the buying process. Consider this when picking keywords and select keywords that target people at various phases of the buying process. In addition to being thorough in your research, also remember you shouldn’t just do it once and forget it. Use as many tools as you can get your hands on – look at web stats and look at the logs for the search feature on your site – get a feel for what people are looking for. 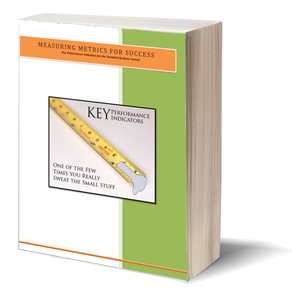 The keywords you choose are the foundation of your campaign and will determine your success. Mistake: Making bad decisions in the name of saving money: in other words: being too cheap! Solution: As cliché as it may be: “you get what you pay for” is true! Often I see people going for cheaper SEO services or worse yet, sometimes even those mass submission services that submit to hundreds of engines and directories. They are really happy because they are paying so little. But in most cases, that small monthly fee adds up over time and you really aren’t getting any results from it, so you may as well burn that money. Spending wisely and price shopping is never bad but going cheap rarely pays off. My suggestion: be frugal but wise. Mistake: Spamming, keyword stuffing, setting up link farms and all other Blackhattery. Solution: Don’t do it! Don’t stuff keywords, don’t participate in link farms, don’t do things that will end up getting you kicked out of the search engines index. Remember, adding a bunch of keywords to a page may have gotten rankings in the early days of search engine optimization but a lot has changed and you won’t get away with it now. It’s not good for the engines and it’s definitely not good for site visitors who will land on your site and leave as soon as they start reading and realize there is nothing of value to read. These days you have to focus on adding good content that uses keywords naturally. Focus on good optimization and clean code; attract links to your content via social media. CONTENT TIP: Read your content out loud, our brain processes the words differently when we read them out loud and you are more likely to catch problems with your text, like overusing keywords. Solution: Make sure your site is listed in the relevant local engines/directories. Make sure your site is optimized for mobile! According to Compete, 1 out of 3 smartphone users have been led to a local business after finding in through local mobile search. ‘Nuff said. Solution: Not everyone is a web designer and not everyone has the budget to hire a web designer. I can understand looking for a low cost website solution, just be sure you aren’t pennywise and pound foolish. You need to take the time to ask the questions and be sure your site builder or template site is inherently search engine friendly. WordPress strikes me as a great solution for people. Once it’s installed and set up, you don’t need a webmaster and can maintain it all yourself – and you can count on it being very SEO friendly and easy to use! You don’t have to like it, but you do have to do it (if you care about keeping your site on the forefront). If it’s overwhelming, start with getting a Facebook Fan Page up and work on building fans, and then introduce Twitter and then move on to YouTube and LinkedIn and some of the others. I know from experience, the list of mistakes in SEO (and social media) is pretty long so feel free to add to it. I’ll also do a follow up article in the future to go over some more. In the meantime, check out your strategy and get it cleaned up if you are making any of these mistakes.